Branson has pledged to commit $3 billion, all profits from his travel firms over the next ten years, to the reduction of global warming. He has previously donated to educational charities in Africa. Branson started his first charity, “Student Valley Centre”, when he was only 17. Richard is Patron of the International Rescue Corps. In 2007, Branson formed The Elders – a small, dedicated group of leaders, working objectively and without any vested personal interest to solve difficult global conflicts – with Peter Gabriel, Nelson Mandela, Desmond Tutu, Kofi Annan, and Jimmy Carter. In March 2008, he hosted an environmental gathering with Former British Prime Minister Tony Blair, Wikipedia Founder Jimmy Wales, and Larry Page of Google at his private island in the Caribbean to discuss global warming-related problems facing the world. 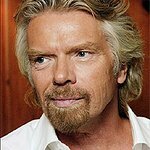 When Saddam Hussein invaded Kuwait, Richard Branson organized to fly 40,000 blankets to refugees fleeing into Jordan. He single-handedly had to fight with Government ministers to make sure the supplies got to those who needed them. In 2004 he set up Virgin Unite to encourage all of his staff around the world to tackle tough social problems. He persuaded Elton John to sing Candle In The Wind at the funeral of Princess Diana – which eventually raised $40 million for charity. Sir Richard Branson is Founder and Chairman of the Virgin Group. Virgin is one of the world’s most recognized and respected brands and has expanded into many diverse sectors from air and ground travel to telecommunications, health, space travel and renewable energy through more than 200 companies worldwide, employing approximately 50,000 people in 30 countries. In 2004, Branson established Virgin Unite, his nonprofit foundation. It mobilizes the talent and resources from across the Virgin Group and beyond, to tackle tough social and environmental problems in an entrepreneurial way. It is built on the belief that the only way we can address the scale of the challenges facing the world today is by revolutionizing the way businesses, government and the social sector work together—driving business as a force for good. Branson has been working closely with Virgin Unite to bring together the right partners to help create new global leadership models to address conflict, climate change and disease. These include the Carbon War Room and The Elders, as well as a number of others. 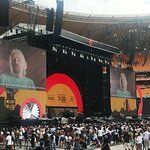 Branson and Virgin Unite also support a number of initiatives that lead to economic empowerment and healthy communities. These initiatives range from creating sustainable healthcare models in Africa, like the Bhubezi Community Health Center and the Rural Transport Network, to supporting young entrepreneurs through the Branson School of Entrepreneurship in South Africa and Jamaica, to creating opportunities for disadvantaged young people in the US and the UK. Google trends for "Richard Branson"